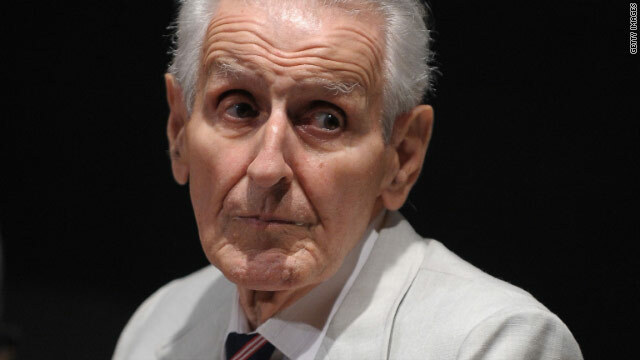 Jack Kevorkian, who died Friday at 83, began his crusade to give people the option of choosing to end their life rather than continuing to seek medical treatment in 1989. During the next nine years, at least 130 people used Kevorkian’s "suicide machine" to take their own lives. With the push of a button, patients were able to give themselves a lethal dose of chemicals. One patient, however, was unable to use the machine. Thomas Youk suffered from Lou Gehrig’s disease. Instead of just helping Youk, Kevorkian administered the drugs himself. Kevorkian also videotaped the procedure and sent the tape to CBS’ "60 Minutes." In the recording, Kevorkian repeatedly asked Youk, “Tom, do you want to do this? Are you sure you want to go ahead?" Youk says yes and nods his head. Kevorkian delivers the drugs and Youk soon died soon thereafter. “60 Minutes” aired Youk’s death. Michigan prosecutors would later use the tape to help convict Kevorkian of second-degree murder in 1999. Kevorkian spent eight years in prison before being paroled in 2007. 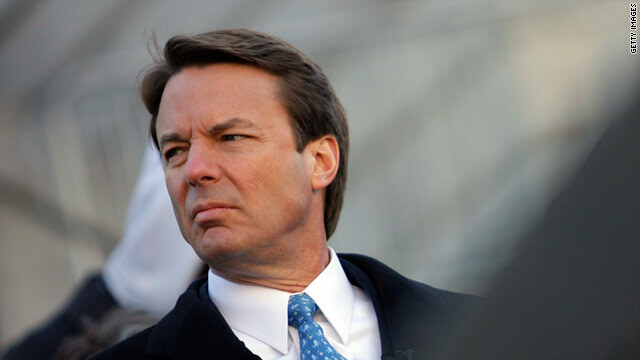 John Edwards, former Democratic senator, vice presidential nominee, and two-time presidential candidate, was indicted on six counts today, among them, conspiracy and violating campaign contribution laws. At issue is whether funds given him by two benefactors - allegedly for the purpose of hiding his mistress - were campaign contributions. rs1201, "a staunch Republican,” said, “He's a pig and an unprincipled pervert, but he does not belong in jail. Fine him heavily and let him be with his family. His kids already lost a mother. They shouldn't lose their father also. Edwards is not a danger to society or to himself." 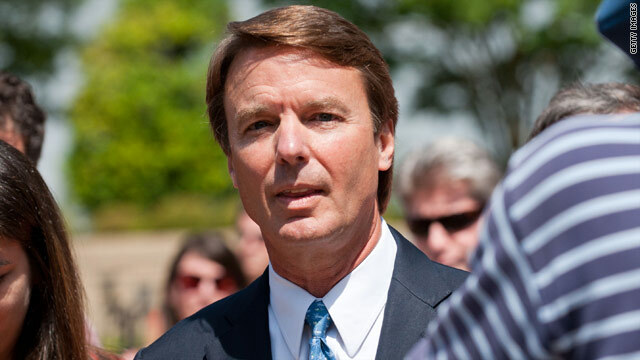 Former senator and 2008 presidential candidate John Edwards said there was no question "I've done wrong" but insisted he had not broken the law. "I took full responsibility for having done wrong," Edwards said Friday, after his indictment on conspiracy, campaign law violations. "I did not break the law and I never, ever thought I was breaking the law." Edwards was indicted Friday on six counts, including conspiracy, issuing false statements, and violating campaign contribution laws. If convicted on all counts, the former North Carolina senator would face up to 30 years in prison and a maximum fine of $1.5 million. The grand jury was investigating whether money given to support Edwards' mistress Rielle Hunter by Edwards' benefactors should have been considered campaign donations - a contention Edwards' team disputed. During their affair, Hunter became pregnant with Edwards' baby, though at first he denied he was the father. Prosecutors say money that two of Edwards' political backers gave to Hunter should have been considered campaign donations, Edwards' attorneys disagree. There have been plea discussions ongoing between Edwards' defense lawyers and federal prosecutors, but no agreement has been reached. Edwards had not wanted to plead guilty to a felony because he could lose his law license, a source familiar with the inquiry previously told CNN. Edwards' attorney, Greg Craig, has said his client "has done wrong in his life - and he knows it better than anyone - but he did not break the law." He said the government's theory of the case "is wrong on the facts and wrong on the law." 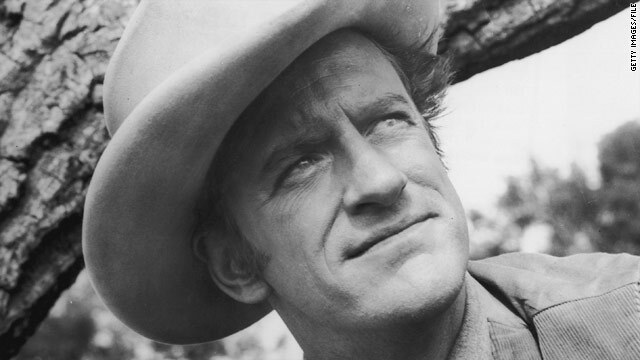 Former "Gunsmoke" actor James Arness, who played Marshal Matt Dillon in the western TV series for 20 years, died Friday from natural causes, according to his website. He was 88. Over the two decades of "Gunsmoke" episodes from 1955 to 1975, Arness worked with hundreds of actors, some of them just up-and-comers such as Harrison Ford, Burt Reynolds and Charles Bronson. He also worked with Betty Davis. Born in Minneapolis on May 26, 1923, Arness served in the Army during World War II at Anzio, the Italian beach that the Army says was the setting for the largest and most violent armed conflict in history. Arness was wounded in his right leg and received the Purple Heart. 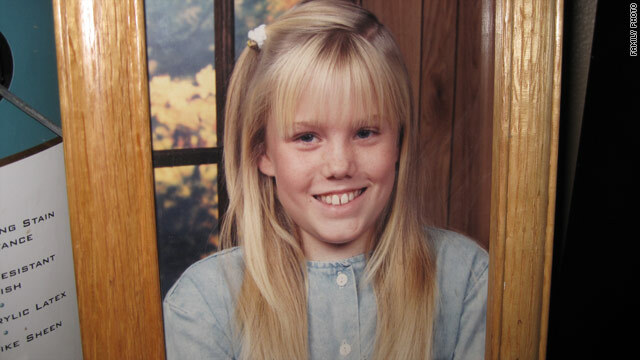 Phillip and Nancy Garrido abducted Jaycee Dugard when she was 11 years old. Jaycee Dugard vividly remembers the morning 20 years ago when she was kidnapped. A car crept up behind her as she walked to the bus stop for school. "I didn't think it was weird at the time, but it kind of pulled in close to me," she told a grand jury in September 2010, according to redacted transcripts released today. In them she describes her encounters with her convicted captors Philip and Nancy Garrido. She was asked for directions. In a flash, her life took a turn that would change her forever. Dugard would go from an 11-year-old, blue-eyed, freckle-faced blonde to a 29-year-old with two children - all while she was kept locked away in a backyard compound of sheds and tarps owned by Garrido. The couple both pleaded guilty to avoid a trial, where Dugard would have to publicly testify and describe the nearly two decades she spent in captivity. Philip Garrido was sentenced this week to 431 years in prison. His wife Nancy got 36 years for Dugard's kidnapping. Dugard’s description of the events comes from grand jury testimony in the case against the couple. It is the first time she Dugard has told in full detail what happened during her kidnapping. Dugard told the grand jury about the exact moment her walk to school turned into 18 years of captivity. "All of a sudden his hand shoots out and I feel tingly and like losing control, and I'm in the bushes, trying to go back, and somebody is dragging me," she said. She felt as if her body wouldn't work - like she had no control, according to the transcripts. Then she found herself inside a car on the floorboard with someone putting pressure on her body. "I could feel the pressure. I could feel legs moving," she said. She remembers the sound of the car door slamming. She was offered a drink and then heard a man laughing. "I can't believe we got away with it," she recalls the man, Philip Garrido, saying. Covered with a blanket, hot, and nervous, Dugard remembers pleading with her captors to release her. "I kept telling him that, you know, 'I don't know why you're doing this. If you're holding me for ransom, my family doesn't have a lot of money.' "
Dugard said at one point she "lost control of her bladder and then blacked out." At one point he said they were going to walk - he would lead the way, and she would hold on to him and follow. Led by Garrido, she walked with a blanket over her head and wearing only a towel and no shoes to the building where she was held. That would only be the beginning of her torturous 18-year ordeal in the Antioch, California, compound. 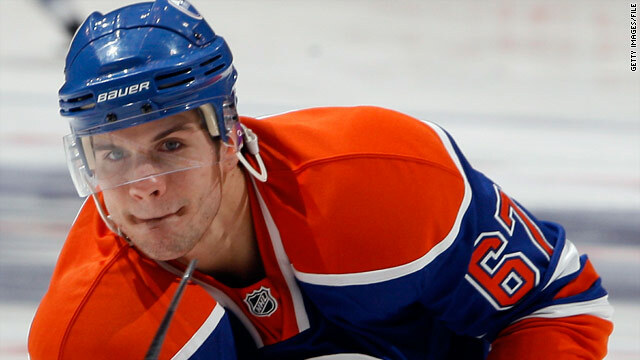 The Edmonton Oilers' Gilbert Brule picked up a hitchhiking Bono. The center for the Edmonton Oilers hockey team was driving down a road in West Vancouver, British Columbia, on Tuesday during a rainstorm when he came across an unlikely hitchhiker: U2 frontman Bono. Bono and his assistant were out for a walk when, according to numerous reports, it started to rain. They looked for a lift to a dry place, and Brule and his girlfriend answered the call. "I like ice hockey, because people who play ice hockey are the kind of people who pick up hitchhikers," Bono told a concert crowd Wednesday in Edmonton, Alberta. In the crowd were Brule and his girlfriend, who sold their tickets to Game 1 of the Stanley Cup Finals in Vancouver and jetted to Edmonton for the show, the CBC reported. 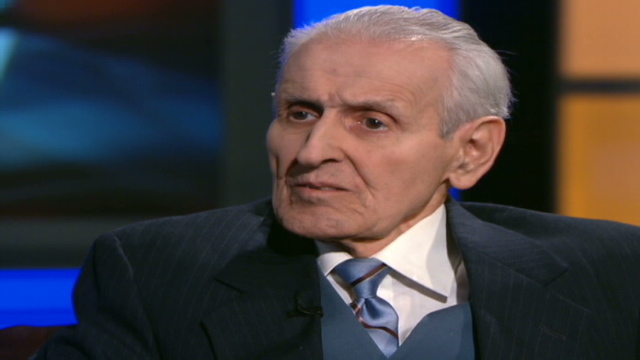 'I helped more than 130 people die' - In April 2010, Dr. Jack Kevorkian tells CNN's Anderson Cooper about having to perform his first assisted suicide in a van. Former Sen. John Edwards, shown here in 2008 on the campaign trail in New Orleans, was indicted Friday. Editor's Note: Jeffrey Toobin, CNN's senior legal analyst, offered his immediate reaction to the John Edwards indictment. 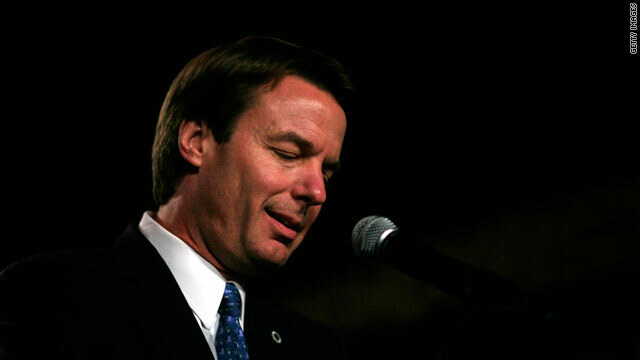 Former U.S. Sen. John Edwards was indicted Friday by a federal grand jury amid allegations that he violated campaign finance law by providing for a mistress. Instead of the typical "bare-bones" indictment that would simply list allegations related to potential abuses, Toobin said the document contained details meant to send a strong message to Edwards. “There’s a saying in criminal law called a ‘speaking indictment’ ... an indictment that really makes the case, that really sort of outlines the evidence and really sticks it to the defendant," Toobin said. "This is clearly a speaking indictment. There is a lot of technically extraneous material that is very insulting and very damaging," he said. "There’s stuff about his haircuts, his famously expensive haircuts, this is obviously an indictment that is meant to embarrass him as well as simply announce the charges," he said. While plea discussions had been ongoing, Edwards' defense lawyers and federal prosecutors have yet to come to agreement. A grand jury has been investigating monetary assistance given to Edwards' mistress, Rielle Hunter, by benefactors of Edwards 2008 presidential campaign. Federal prosecutors contend the funds should have been considered campaign donations - a contention Edwards' team has disputed. 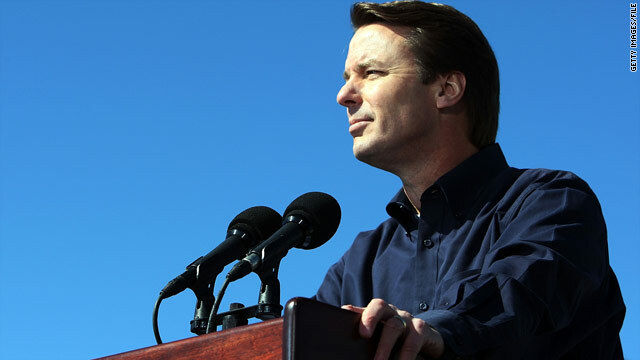 Filed under: John Edwards • Politics • U.S.
Former senator and 2008 presidential candidate John Edwards was indicted Friday on six counts, including conspiracy, issuing false statements, and violating campaign contribution laws. Edwards is scheduled to appear in federal court in Winston Salem, North Carolina, at 2:30 p.m. ET, according to a Justice Department official. A grand jury has been investigating that money given to support Edwards' mistress Rielle Hunter by benefactors of Edwards should have been considered campaign donations - a contention Edwards' team has disputed. The case involves the financial aid given to Edwards' mistress, Rielle Hunter. During their affair, Hunter became pregnant with Edwards' baby, though at first he denied he was the father. [Updated at 10:10 a.m. ET] Yemen's president, prime minister and other senior government officials were injured on Friday during the shelling of the presidential compound in Sanaa, a government spokesman said. This comes as government forces and tribesmen slugged it out in the capital and demonstrators poured onto the streets of the impoverished country to demand that the President Ali Abdullah Saleh step down. Saleh sustained a slight injury to the head in an attack on the mosque in the presidential palace, but he is fine, a senior government official told CNN. The president plans to address the media later on Friday. Government spokesman Tareq al-Shami said Prime Minister Ali Mujawar, the parliament speaker, deputy prime minister, and the Sanaa governor were among seven injured. "The officials were praying when the shelling hit a mosque in the presidential compound. A number of the injured are in serious condition," Tareq al-Shami, a government spokesman, said. It was not immediately clear whether Saleh was among the seven Al-Shami mentioned. Tribal fighters and the regime's forces in Sanaa had been battling with missiles. The fighters shot missiles at the presidential palace and the government responded by launching missile strikes on a dissident tribal leader's property. [Updated at 9:34 a.m.] Stocks sell off sharply at the open following a dismal monthly jobs report. The Dow sunk 130 points, the Nasdaq slid 1.2%, and the S&P 500 was off 1%. [Posted at 8:34 a.m.] In yet another alarm bell of a weakening U.S. economy, the job market took a disappointing turn in May. The economy gained a mere 54,000 jobs in the month, a significant slowdown from 232,000 jobs added to payrolls in April, the government reported Friday. The report was a major disappointment to economists who were expecting a gain of 170,000 jobs, according to a CNNMoney survey. 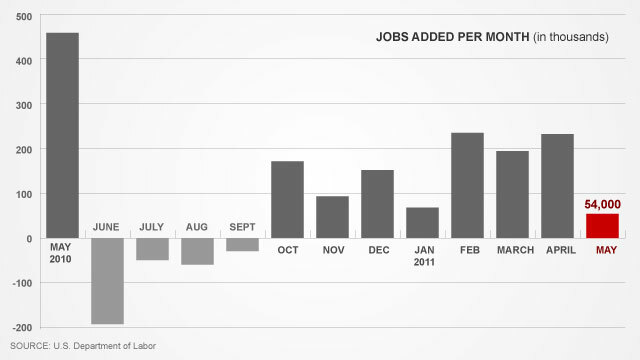 Most believe the economy needs to add about 150,000 jobs a month just to keep pace with population growth. Businesses added 83,000 jobs in May, well short of economists' forecast of a gain of 190,000 jobs for the private sector. It was the weakest level of business hiring in 11 months and comparable to the disappointing report by payroll processing firm ADP earlier this week that estimated a gain of only 38,000 private sector jobs. Dr. Jack Kevorkian, the Michigan pathologist who put assisted suicide on the world's medical ethics stage, died early Friday, according to a spokesman with Beaumont Hospital. He was 83. The assisted-suicide advocate had been hospitalized in Michigan for pneumonia and a kidney-related ailment, his attorney Mayer Morganroth has said. The music of Johann Sebastian Bach, Kevorkian's favorite musician, was put on the intercom so he could hear the music as he was dying, Morganroth said. The 83-year-old former pathologist had struggled with kidney problems for years and had checked into a hospital earlier this month for similar problems, his lawyer, Mayer Morganroth, told CNN last month. He checked back into Beaumont Hospital in the Detroit suburb of Royal Oak on May 18 after suffering a relapse, Morganroth said. Kevorkian, dubbed "Dr. Death," made national headlines as a supporter of physician-assisted suicide and "right-to-die" legislation. He was charged with murder numerous times through the 1990s for helping terminally ill patients take their own lives. He was convicted on second-degree murder charges in 1999 stemming from the death of a patient who suffered from amyotrophic lateral sclerosis, commonly called Lou Gehrig's disease. He was paroled in 2007. 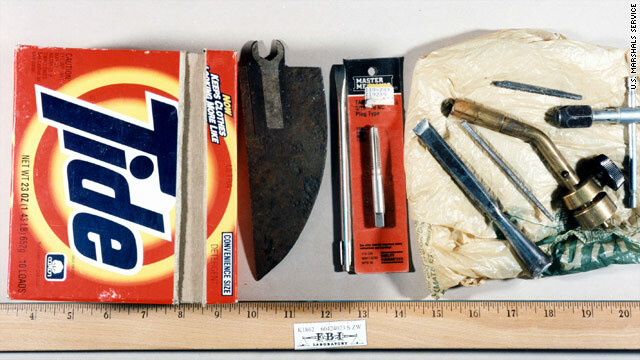 Bidders used technology, a thorn of "Unabomber" Ted Kaczynski, to buy up his items in a two-week online bidding spree that yielded $232,246, the U.S. Marshals said in a press release Friday. Judging from the winning bid on the sale of some personal journals, owning a piece of the Unabomber is auction gold. The big-ticket items in the U.S. Marshals Service auction were Kaczynski's personal journals, which pulled $40,676. Twenty-one bidders put dibs on the 20 journals, which described in Kaczynski's words his anti-government world view and affection for the wilderness. Also gone to the highest bidder were his hooded sweatshirt and sunglasses, which went for $20,025, a typewriter ($22,003) used to write his anti-corporate manifesto, and the handwritten copy of the paper, which sold for $$20,053, according to the release. The auction, which the General Services Administration conducted, was held to compensate some of his victims. Kaczynski, 68, killed three people and wounded 23 others in bombings from 1978 to 1995. He was arrested in 1996, pleaded guilty in 1998 and is serving a life term in the federal "Supermax" prison in Florence, Colorado. The online auction began May 18 and got off to a hot start. In the first few hours after bidding began, the price for a handwritten copy of the manifesto had already topped $6,000. Items for sale included driver's licenses, birth certificates, academic transcripts, typewriters and "more than 20,000 pages of written documents, including the original handwritten and typewritten versions" of Kaczynski's manifesto, authorities said last month. Check out the final sale price for the items at http://www.gsaauctions.gov. Watch CNN.com Live for continuing coverage of the race toward the 2012 presidential election. 8:00 am ET - Faith and Freedom Coalition Conference - Several confirmed and potential Republican presidential candidates will address a faith-based conservative conference in Washington. Filed under: Barack Obama • Basketball • Casey Anthony • Crime • District of Columbia • Dollars & Sense • Economy • Elections • Florida • NBA • Newt Gingrich • Ohio • On CNN.com today • Politics • Republican Party • Sports • Tim Pawlenty • U.S.
National Doughnut Day: Friday is the day America celebrates the doughnut. National Doughnut Day originated with the The Salvation Army in Chicago in 1938 as a salute to the women who served doughnuts to U.S. soldiers during World War I. The Salvation Army's "doughnut lassies" continued that service during World War II and cemented the doughnut's place in the American diet. If you want to try to duplicate the doughnut lassies' work in your kitchen today, The Salvation Army is providing their original recipe. If you're not in the mood to celebrate National Doughnut Day in the kitchen, try heading down to your local Krispy Kreme or Dunkin' Donuts. 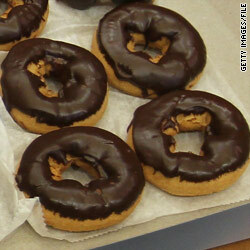 At participating Dunkin' Donuts, customers will get a free doughnut with the purchase of a beverage. Obama and autos: President Barack Obama heads to Toledo, Ohio, on Friday where he'll visit Chrysler's Jeep Wrangler assembly plant. Obama will use the Toledo visit to emphasize why the government bailouts of Chrysler and General Motors were successful, CNN affiliate WTVG in Toledo reports. Chrysler announced recently that it will repay government bailout loans six years ahead of schedule. Among those expected to be in attendance for Obama's visit is Jeep assembly line worker James Fayson, according to a Toledo Blade report. Fayson, 36, will appear in Obama 2012 campaign commercials explaining how the bailout allowed him to return to work after being laid off in 2009, the Blade reported. Shaq's announcement: Four-time NBA champion Shaquille O'Neal will formally announce his retirement from basketball Friday during a news conference at his Florida home. O'Neal first said Wednesday afternoon that he was going to hang up his jersey. The 39-year-old posted a link to a video on his Twitter account. In a brief message he said: "We did it. Nineteen years, baby. I want to thank you very much. That's why I'm telling you first. I'm about to retire. Love you. Talk to you soon." O'Neal has been dogged by injuries in the latter stages of his career and played only 37 games for the Boston Celtics this season after struggling with an Achilles tendon problem. He returned for two playoff games against the Miami Heat but managed just 12 minutes and he told an ESPN reporter that he didn't want to let Celtics fans down. O'Neal won three titles with the Los Angeles Lakers after forming a devastating partnership with Kobe Bryant, and added a fourth in 2006 with the Miami Heat. With 28,596 points, O'Neal is fifth on the all-time NBA scoring list and is second only to Michael Jordan on the all-time list of NBA Finals Most Valuable Player Awards. Pennsylvania teen Sukanya Roy was tantalizingly close to the Scripps National Spelling Bee's final rounds in previous years. Now, she's taken the prize. Sukanya, 14, won the annual spell-off Thursday night with the word cymotrichous, which means having wavy hair, topping 274 other contestants over two days and 20 rounds. After nailing the last word, the eighth-grader covered her smile with a shaky hand, and moments later lifted a trophy that was handed to her at the Gaylord National Resort and Convention Center in National Harbor, Maryland. "It's just amazing. 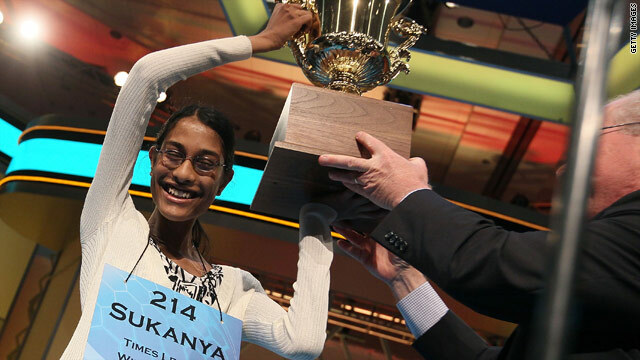 It's hard to find the words" to describe the feeling, Sukanya (pictured) told ESPN's Rob Stone after she won. She had a lot less trouble spelling the words she needed to win. Among the 13 words she spelled correctly in Thursday night’s finals were psephomancy (divination by pebbles), pyopoiesis (the formation of pus), and völkerwanderung (the migration of nations).